An important part of learning for many members of Al-Anon is hearing the story of members who have been in the program for a period of time. Their story of what it was like before, and what it is like now, offers hope and learning about the principles of the Al-Anon program. 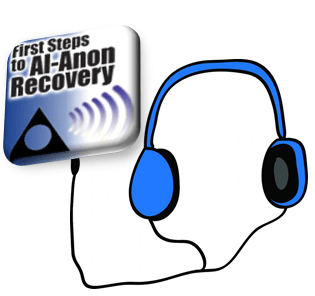 The NIAFG Media Rental Library contains CD’s of Al-Anon and Alateen speakers from Al-Anon and AA Illinois State and International Conventions and the Al-Anon World Service Conference. These were recorded and copyrighted by an outside company and are available only for rental. The AA International Conference contains breakout sessions in a meeting format where there is a 5 min introduction, followed by a 10 – 15 min lead or panel of speakers on a specific topic, followed by 1 hour of sharing from Al-Anon members from all over the world. Due to the length of the AA Intl Conf sessions, they are available on a data CD in MP3 format and not in Audio format. This means it will play on your computer or downloaded into an MP3 player, but will not play on an ordinary CD player. Some newer cars can play and MP3, but we cannot guarantee it. In the NIAFG Media Rental Library you can look up a CD in the Media Catalog by Event or by Speaker. Include your Name, Address, Phone Number and the Event, Date and Speaker/topic from the Catalog. Limit 4 Speaker CD’s when ordering. The rental fee is 1 CD – $3.00 2 CD – $4.00 3 CD – $5.00 4 CD – $6.00. If you do not have an email account, you can also download a copy of the order form from the link at the bottom, print it out, and send the order by mail with a check made payable to NIAFG.